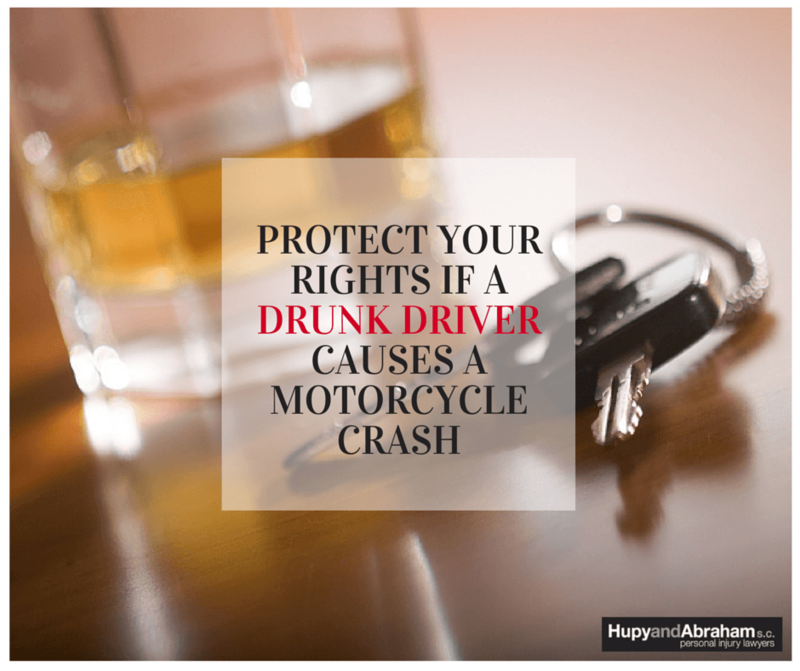 Recover Damages After a WI Drunk Driving Motorcycle Accident | Hupy and Abraham, S.C.
Wisconsin has the highest rate of drunk driving in the United States, according to the Wisconsin Department of Transportation. This distinction is dangerous for all drivers—but especially for motorcyclists, who lack the protective metal and safety features that help keep car and truck drivers safe. In 2012 (the most recent year for which complete statistics are available) about one of every three fatal Wisconsin motorcycle accidents involved drunk driving. Drunk driving accidents are preventable. If another driver caused your motorcycle crash or killed your loved one, then it is important for you to understand your rights and to take action. 0.08 percent or higher, for drivers age 21 or older. 0.02 percent or higher, for drivers under age 21. 0.04 percent or higher, for drivers of any age who operate commercial vehicles. Drivers who violate the law face criminal penalties. However, the criminal law system will not compensate victims of a drunk driving accident. Even if another driver broke the law and drove under the influence of alcohol or drugs, you will have to prove that the driver’s negligence caused your crash and your injuries. Evidence obtained by the police that led to criminal drunk driving charges may be useful in your case, but it is important to know that the standard that you need to prove in a civil case is different from what the state needs to prove in a criminal case. The state needs to prove only that the driver was drunk. You need to prove that the driver was negligent and that the negligence resulted in your injuries. If you can prove that then you will be able to recover damages in an insurance settlement or court verdict. Those damages may include compensation for your past, current and future medical expenses, lost income, out-of-pocket costs, pain, suffering and other damages. To learn more about how to protect your potential recovery, please contact us today at 1-800-800-5678 to schedule a free consultation.